Teresa de Los Andes was born on July 13, 1900, in Santiago, Chili, as Juana Fernandez Solar. At her baptism she was christened Juana Enriqueta Josefina of the Sacred Hearts Fernandez Solar. Those who knew her closely called her Juanita, the name by which she is widely known today. She had a normal upbringing surrounded by her family: her parents, Miguel Fernandez and Lucia Solar, three brothers and two sisters, her maternal grandfather, uncles, aunts, and cousins. Her family was well-off and faithful to their Christian faith, living it with faith and constancy. The autobiography of St. Thérèse of Lisieux, not yet declared a saint, had an enormous influence on her early life. Her own letters from that time reveal an incredibly profound spirituality and commitment to Jesus and a deep Marian devotion. It was not uncommon for her to converse with both Jesus and Mary in a natural and familiar way. When she was fourteen, under God's inspiration, she desired to consecrate herself to Jesus as a religious with the Discalced Carmelite Nuns. This desire of hers was realized on May 7, 1919, when, at the age of 19, she entered the tiny monastery of the Holy Spirit in the township of Los Andes, some 55 miles from Santiago. Some of her friends, moved by her witness, also entered religious life. In the monastery she happily lived the life of prayer and sacrifice. She knew a long time before that she would die young. A month before she was to depart this life, she related to her confessor that the Lord revealed to her that she would die soon. She accepted it with happiness, serenity, and confidence. She was certain that her mission to make God known and loved would continue in eternity. Within a few months of entering, she contracted typhus. 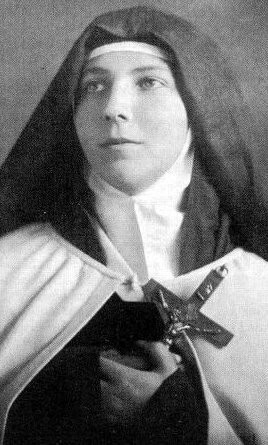 In April 1920, being close to death, with six months to go before completing her canonical novitiate, she was allowed to make her religious profession. After many interior trials and indescribable physical suffering, she died five days later during Holy Week, on April 12, 1920, just three months before her 20th birthday. Her words express her attitude to death. "For a Carmelite, death is nothing to be afraid of. She is going to live her true life. She is going to fall into the arms of the One who loved her here on earth beyond all things. She is going to be immersed eternally into love." Externally this is all there is to this young girl from Santiago de Chile. It is all rather disconcerting and a great question arises in us, "What was accomplished?" The answer to such a question living, believing, loving. When the disciples asked Jesus what they must do to carry out God's work, he replied, "This is carrying out God's work: you must believe in the One He has sent." (Jn 6, 28-29). For this reason, in order to recognize the value of Juanita's fife, it is necessary to examine the substance within, where the Kingdom of God is to be found. She wakened to the life of grace while still quite young. She affirms that God drew her at the age of six to begin to spare no effort in directing her capacity to love totally towards Him. "It was shortly after the 1906 earthquake that Jesus began to claim my heart for himself" (Diary n. 3, p. 26). Juanita possessed an enormous capacity to love and to be loved, joined with an extraordinary intelligence. God allowed her to experience His presence and made her his own. Knowing Him, she loved Him; and loving Him, she bound herself totally to Him. Once this child understood that love demonstrates itself in deeds rather than words, the result was that she expressed her love through every action of her life. She examined herself sincerely and wisely and understood that in order to belong to God it was necessary to die to herself in all that did not belong to him. Her natural inclinations were completely contrary to the demands of the Gospel. She was proud, self-centered, stubborn, and with all the defects that these things suppose, but also was cheerful, happy, sympathetic, attractive, communicative, and involved in sports. But where she differed from the general run was to carry out continual warfare on every impulse that did not arise from love. At the age of ten she became a new person. What lay immediately behind this was the fact that she was going to make her first Communion. Understanding that nobody less that God was going to dwell within her, she set about acquiring all the virtues that would make her less unworthy of this grace. In the shortest possible time she managed to transform her character completely. In making her first Communion she received from God the mystical grace of interior locutions, which from then on supported her throughout her life. God took over her natural inclinations, transforming them from that day into friendship and a life of prayer. Four years later she received an interior revelation that shaped the direction of her life. Jesus told her that she would be a Carmelite and that holiness must be her goal. With God's abundant grace and the generosity of a young girl in love, she gave herself over to prayer, to the acquiring of virtue, and the practice of a life in accord with the Gospel. Such were her efforts that in a few short years she reached a high degree of union with God. Christ was the one and only ideal she had. She was in love with Him and ready each moment to crucify herself for Him. A bridal love pervaded her with the result that she desired to unite herself fully to Him who had captivated her. As a result, at the age of fifteen, she made a vow of virginity for nine days, continually renewing it from then on. During her adolescence she reached perfect psychic and spiritual equilibrium. These were the fruit of her asceticism and prayer. The serenity of her face was a reflection of the divine guest within. Her life as a nun, from May 7, 1919, was the last rung on the ladder to holiness. Only eleven months were necessary to bring to an end the process of making her life totally Christ-like. She was beatified by Pope John Paul II in Santiago de Chile on April 3, 1987—a ceremony at which her brother Luis was present (the last direct relative of hers still alive). 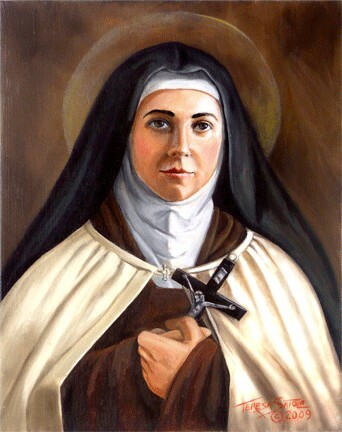 She was canonized in Rome on March 21, 1993—the first Chilean to be declared a saint and the first Discalced Carmelite Nun to become a saint outside the boundaries of Europe. Teresa remains popular with the estimated 100,000 pilgrims who annually visit the shrine where her remains are venerated in the Shrine of Saint Teresa of Los Andes in the township of Los Andes, 60 miles from Santiago.